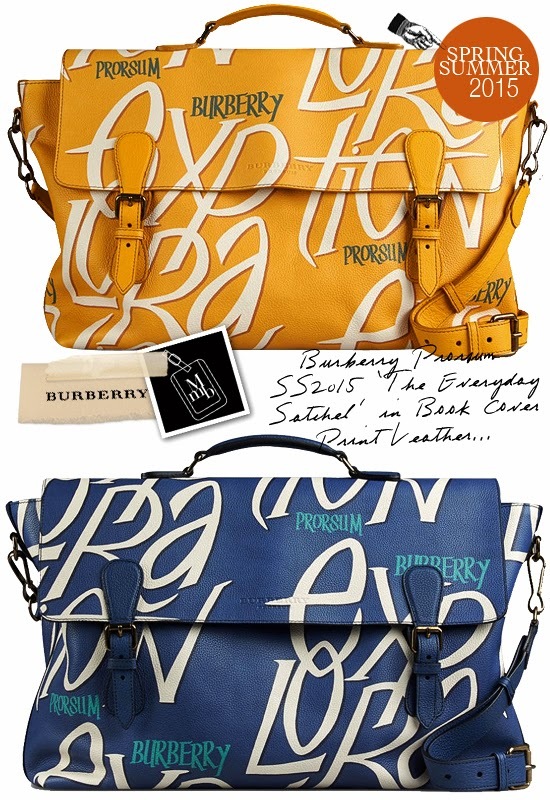 Of all the mens bags that I have browsed thru this Spring Summer 2015 season... Burberry Prorsum easily claims the top title for being one of the most unique. 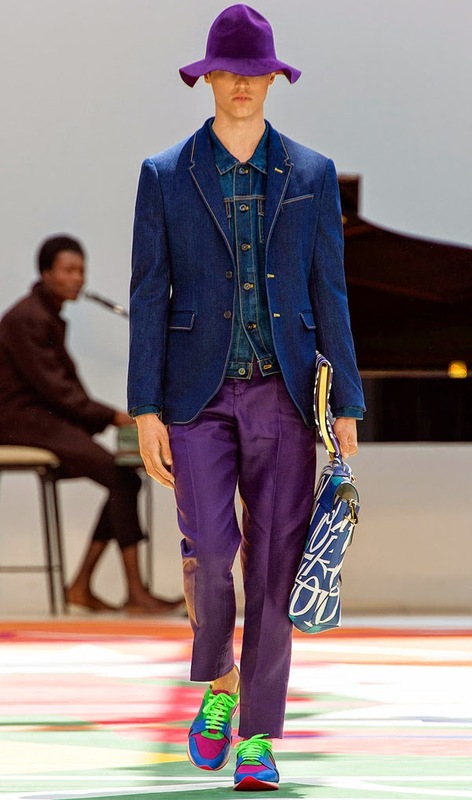 Hard to miss on the runway are all those beautifully illustrated graphic prints on leather bags which captures catch your attention and imagination. Inspired by vintage book covers of volumes that creative director, Christopher Bailey picked up at flea markets, they bring a sense of nostalgic literary charm. 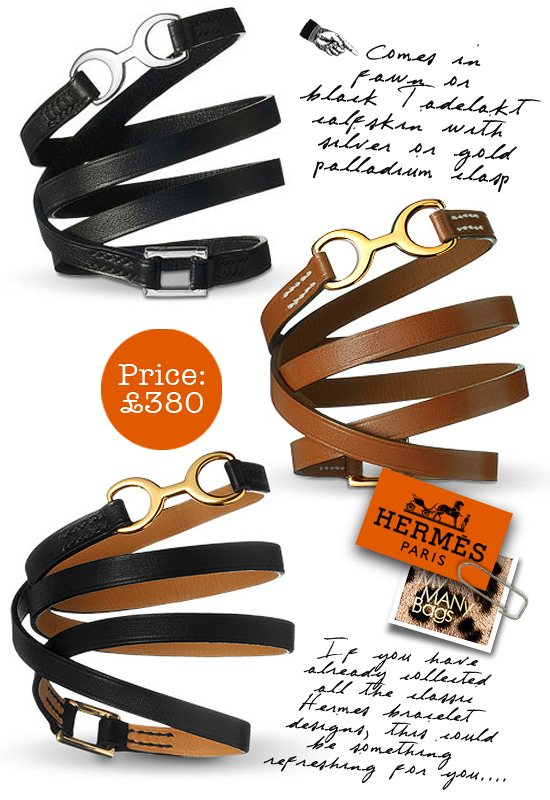 Apparently the artwork is hand-painted in Burberry’s studios and then printed onto calf leather. With refreshing and striking colours, the typography and illustrations come to life in the most vivid way. Out of all the bags presented in the SS2015 collection, my favourite style is the Everyday Leather Satchel. The shape and format reference classic designs with it’s foldover front and buckled notch-detail closures, much like the school bag that we fondly remembered from our carefree school days. I also appreciate the options of being able to hand carry with the top handle or shoulder sling with the long leather strap, making the bag a good daily companion. To keep organised, the lined interior comes with a zipped compartment and two useful slip pockets. Below: Combined with the vivid colours of Burberry Prorsum's SS2015 menswear... the Everyday Leather Satchel in book cover print adds eccentric charm to the looks. Something Harry Porter's School of Hogwarts will approve. 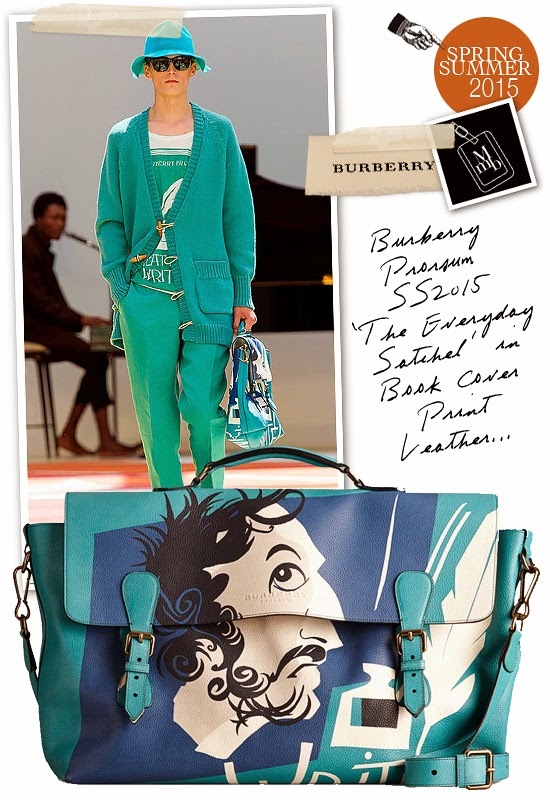 Click here for more pics of Burberry Prorsum Spring Summer 2015 The Everyday Satchel on my facebook fanpage. 'LIKE' my fanpage if you enjoy reading this post.